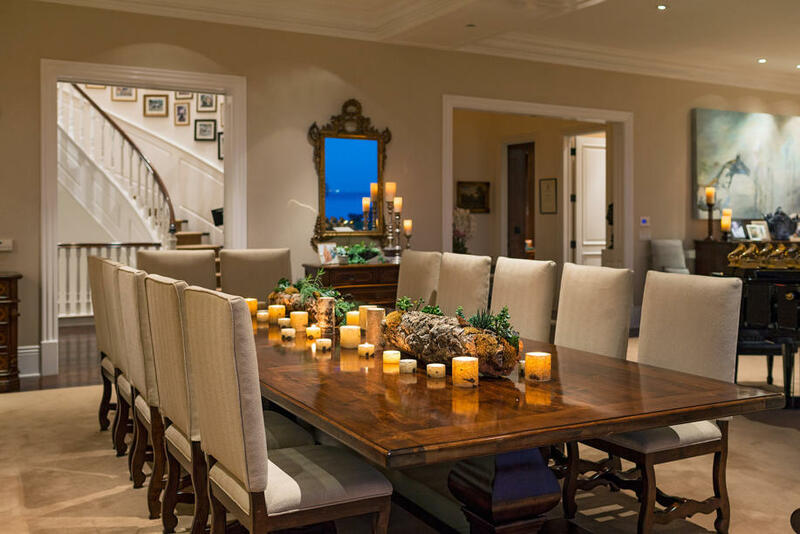 A custom-built Mediterranean mansion, this Malibu home sits on just over three acres of land and has breathtaking views of the Santa Monica Mountains and Pacific Ocean. Extra-wide plank reclaimed Bavarian walnut floors run throughout the main living spaces. Special amenities include a floor-to-ceiling glass refrigerator, screening room, recording studio, game room, and exercise suite. The grounds offer an infinity-edge swimming pool, a built-in fire pit, and extensive gardens.